We've got you sorted with all the details. So you'll definitely have seen the name Florida Georgia Line cropping up recently. 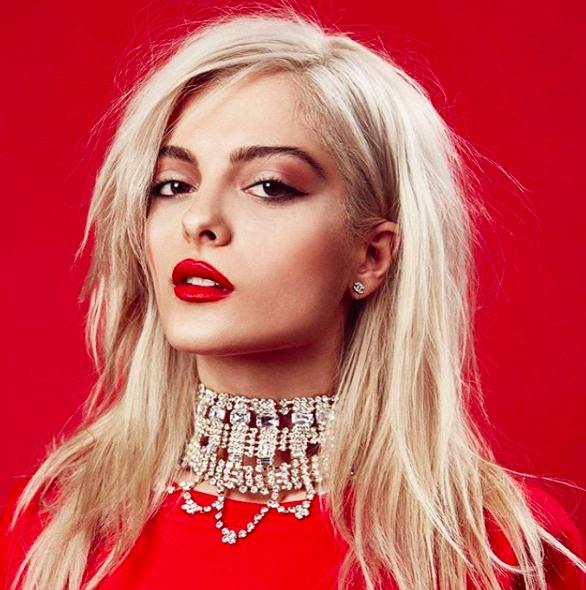 Their track 'Meant To Be' with Bebe Rexha is storming its way up the Official Vodafone Big Top 40 at the moment. Florida Georgia Line featured on Hailee Steinfeld & Alesso's huge tune 'Let Me Go' recently too. But who are Florida Georgia Line? Is it a band? Is it a singer? Is it a plane? 1. Who is in Florida Georgia Line? Florida Georgia Line are a pop and country music duo from America - formed of lead singer Tyler Hubbard and backing singer Brian Kelley. 2. Why are they called Florida Georgia Line? Tyler and Brian's first ideas for a name revolved around peaches and oranges. The duo then decided they actually wanted to reflect where they were both came from - Brian from Florida, Tyler from Georgia - and the 'Line' got added on the end. 3. When did Florida Georgia Line meet? Tyler and Brian met in 2008 whilst at Belmont University. After graduation, the pair moved in together and gave themselves two years to succeed as a country music duo. Fair to say, it's gone pretty well! 4. What is Florida Georgia Line's biggest song? Florida Georgia Line's first single 'Cruise' is the best-selling country song of all time in the United States. The track was released in 2012 and featured on the album 'It'z Just What We Do'. 5. Who have Florida Georgia Line worked with? The group featured on The Chainsmokers' track 'Last Day Alive'' from their 2017 album 'Memories… Do Not Open.' They've also worked with Nelly, American country legend Tim McGraw and the iconic 90's band Backstreet Boys. 6. Are Florida Georgia Line in a relationship? Both Tyler and Brian are married. Tyler Hubbard married his long-term girlfriend Hayley Stommel on 1 July 2015. Brian Kelley married his girlfriend Brittney Marie Cole on 16 December 2013. 7. What is Meant To Be about? The song is about not worrying too much about the future, relaxing and living in the moment. Just accept that whatever will be, will be! > Where Did 'Meant To Be' Get To This Week? Check Out The Official Vodafone Big Top 40 Now! 8. Where was the 'Meant To Be' music video filmed? The 'Meant To Be' video was filmed in Albuquerque, New Mexico in the United States. The road in the video is part of the famous Route 66. Also featured are the Grandview Motel and Café 66. 9. Are Florida Georgia Line a country act? Yeah, country and pop! Florida Georgia Line have helped make 'bro-country' famous in the US. It's country music with a bit of rock and hip-hop thrown in - and songs tend to be about partying. 10. How much are Florida Georgia Line worth? The Richest estimates that the duo have an estimated net worth of $50 million, which would make them one of the highest paid country music acts in the world. Listen to the Official Vodafone Big Top 40 this Sunday from 4pm to find out where 'Meant To Be' charts.